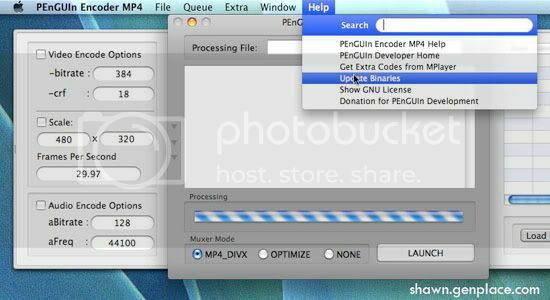 PEnGUIn Encoder MP4 is a GUI for mencoder is designed for encode from most video file formats to MP4. Users may find that the GUI looks like the same PEnGUIn Encoder PMP except optimize muxer mode for ipod, iphone, Apple TV and PSP. Users may find that the GUI looks like the same PEnGUIn Encoder PMP except optimize muxer mode for ipod, iphone, Apple TV and PSP.